November 2017 has seen some exciting developments regarding the National Minimum Wage. Cabinet has approved the National Minimum Wage Bill, Basic Conditions of Employment Amendment Bill as well as the Labour Relations Amendment Bill. The Bills have been Gazetted, and open for public comment before being signed off by the President. Regarding the amended Basic Conditions of Employment act, the act has been amended to include its incorporation of the National Minimum Wage Act 2017. Another notable amendment is that the act has now confirmed, by way of section 9A, that employees who work for less than four (4) hours a day are entitled to receive remuneration for four (4) hours. This means, for example, that if employees are present at work for two (2) hours and there is a power outage for the rest of the day preventing them from rendering service, they must be compensated for at least four (4) hours’ worth of work. Another amendment provides that the powers of the both Labour Inspectors, as well as the CCMA, are likely to be expanded upon. Labour Inspectors will be able to issue compliance orders for violation of the National Minimum Wage Act. Should the matter be disputed it may be referred to the CCMA for adjudication by the employer. 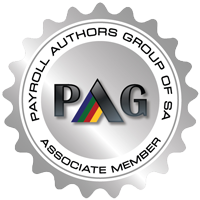 Employees who earn below the earnings threshold (currently R205 433 pa) will also have the right to refer disputes regarding wages to the CCMA. Inspectors are furthermore entitled to demand compliance in the form of an undertaking from employers. The Labour Relations Act, amongst other amendments, proposes an amendment to section 69 dealing with Picketing. The amendment requires that a commissioner/person appointed to deal with the dispute that may lead to the strike/lockout must determine the rules surrounding the picket. This is a welcomed amendment as it would force parties to agree on ‘ground rules’ prior to embarking on Industrial Action. This could assist in curtailing the violence and disorder which is characteristic of strike action in South Africa. Section 95(5) (p) outlines that a trade union seeking registration must make provision in their constitution for a ballot by its members prior to embarking on any strike or lockout. The National Wage Bill of 2017 has as its purpose the advancement of economic development and social justice by way of protection of employees from unreasonably low wages, improving wages of the lowest paid employees, promoting collective bargaining and supporting economic policy. The bill goes on to state that the payment of the minimum wage is read into the employment contract as a term and condition of employment. It, therefore, cannot be changed unilaterally and can only be ‘ignored’ if the employee is offered a higher wage by way of agreement. Section 5 of the act stipulates that the term ‘wages’ for purposes of the bill excludes payments which enable an employee to perform their job, including transport, food or accommodation allowance; payment in kind such as accommodation; gratuities (including bonuses, tips or gifts) and any other prescribed category of payment. 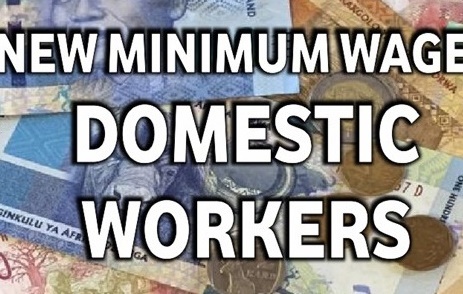 The proposed National Minimum Wage is set at R20 per hour. This equates to approximately R3500 per month for employees working a 40-hour week and R3900 for employees who work a 45-hour week. The Bill does however further specify that the minimum wage for farm workers is R18 per hour; domestic workers is R15 per hour; workers employed on an expanded public works programme will be entitled to R11 per hour; and workers on learnership agreements will be entitled to allowances as stipulated in the bill according to their NQF level. Chapter 4 of the Bill provides for a process whereby employers may apply for an exemption from paying the National Minimum Wage. Should an employer receive an exemption though, it will only be granted for a specified period not exceeding one (1) year and must specify the wage to be paid. This process, therefore, does not provide a permanent exemption from compliance. The actual process relating to the exemption has been delegated to the Minister of Labour. Whether one is supportive of the move toward a National Minimum Wage or not, it will undoubtedly pose a huge administrative adjustment for many employers. Should an employer fail to comply with National Minimum Wage requirements, they will be liable for a fine according to section 76A of the BCEA Amendment Bill. 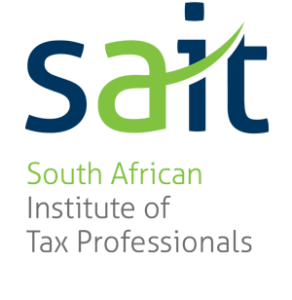 Schedule 1 of the act which specifies amounts payable will come into effect as of 1 May 2018.